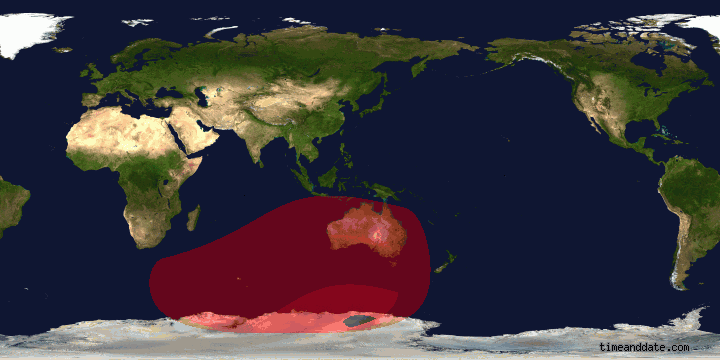 The annular solar eclipse on 29 April 2014 falls in the Taurus zodiac sign, but in the Aries constellation. At 8 degrees Taurus, this solar eclipse lines up with a fixed star in the head of Aries the Lamb called Hamal. What happened to Aries the Ram, I here you say? Well once upon a time, our sheep in the sky was drawn without horns, as an innocent lamb, and this symbol of sacrifice certainly fits with the astrological themes around this eclipse. We are still under the influence of the sacrificial grand cross, and the major aspect to the solar eclipse itself is to the planet of sacrifice, Neptune. The Greeks joined the dots in the Aries constellation to form a Ram with Horns, but like so much of the astrology they tinkered with, they mucked it up. In the Dendera Zodiac, the Egyptian priests carved for this constellation, a Lamb with a Crown around it’s head, which some have mistaken as horns. The Hebrew name for the constellation is Taleh, the Lamb. The fixed star Hamal, derives it’s name from the Arabic راس الحمل, which is supposed to translate to ‘the Head of the Ram’. Yet on Google Translate, we get the word ‘pregnancy’ and as an alternative translation, ‘Aries’. Jesus was known as the Lamb of God, with the symbolism of the Lamb most prominent in Christianity, as a symbol of sacrifice, but also of rebirth. In the chart below for this solar eclipse, you can see how the red lines of the grand cross dominate the picture. In my post on Grand Cross 2014, I ended up summarizing its effects with just two words, “sacrifice and suffering”. This well describes the most prominent news stories of the last few weeks, the sacrifice of innocents on a plane and a boat, and the suffering of their families. At the personal level, for each of us, the grand cross has forced us to address some source of hardship in our lives. Something which has been causing our loved ones to suffer. Perhaps a nasty side of our nature, a bad habit, addiction, or behavior which harms others. 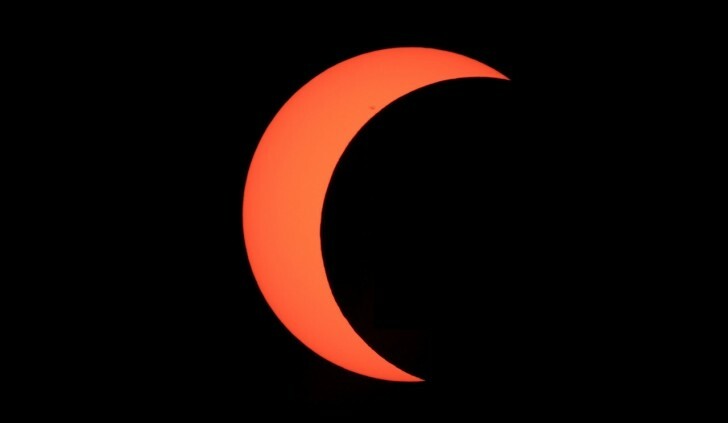 The Moon moving over the face of the Sun at the moment of this annular solar eclipse, will almost, but not totally, blot out the power of the Sun, which is our ego. The Moon gains more power, but it is not a war, it is a union, synergy. Our subconscious, as represented by the Moon, gains a more intimate understanding of the workings of the ego, helping to find a better way forward. The solar eclipse represents a rebooting of our unified conscious and subconscious, ego and feeling, together being the soul. This re-birthing by sacrificing the ego, is also represented by the leading star in the Lamb. And this same theme is shown by the rare grand cross, which is the urgency to radically transform, to evolve the soul. Take actions to relieve the suffering of your loved ones, by sacrificing something, ultimately destructive, which has been propping up your ego. Sun sextile Neptune will reward this sacrifice with a clear conscience, and a renewed faith in yourself and the future. Thank you Jamie. The solar eclipse was on my 8 degree Taurus moon in the 4th house. Do you think this could be the trigger to sell my house which have been trying to do for 3 years? Could well be Moira, I look to the Moon and IC for things like that. And solar eclipses are always more powerful than lunar eclipses for seeing major moves or changes in your life. The lunar eclipse have more of an effect at the personal level. Longtime lurker here; I always get much from your insights and observations, and wanted to offer one of my own. I have been witnessing the massive and cataclysmic transformation of a friend of mine, whose Moon-Eris-Mars t-square and chart angles fall under the Grand Cross, and whose Mercury-Pluto opposition contacts the solar eclipse. On top of that, transiting Neptune squares natal peregrine Saturn in the 3rd, further destabilizing her situation. Mercury, which is conjunct the eclipse, is situated in the 8th house and rules her 12th. To make a long story short, some therapeutic work she had undertaken about 3 weeks ago brought her sudden awareness of long-buried psychological material, and produced physical changes as well. However, the integration has been difficult and her mind, emotions, and sense of self have been extremely unstable: alternately joyfully brilliant and intensely angry, but always with an undercurrent of delusion and inflated self-importance. The earmarks of mania, so clearly described by the involvements of the planetary archetypes mentioned above. She has referred to sacrificial themes in this process, such as death/resurrection and service to humanity. Yes, she has been seeking professional help, and necessary precautions have been taken. Though close friends and I are concerned for her, it is reassuring to see the symbolism being played out astrologically… in that by describing the problem, it also offers a solution. Good question there, but I have not looked that far forward in detail yet. Thanks for the heads up though, I will take this into account when researching future posts and monthly horoscopes. U caught it. The ship sunk in Korea.